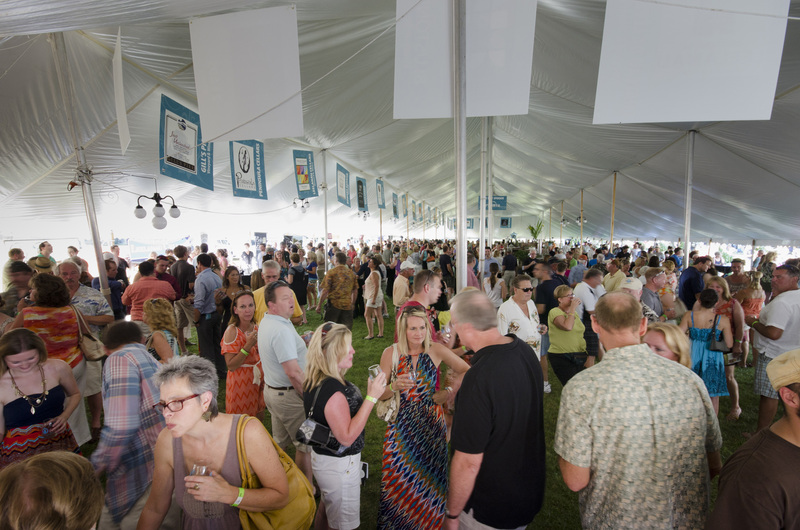 Tickets are on sale now for the second annual Taste of Traverse City Festival, Aug. 29- 31, says the community's destination marketing organization, Traverse City Tourism. This year’s highlighted speaker-demonstrator will be former White House chef Walter Scheib. 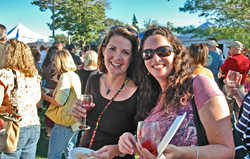 Food, wine and fun on the Traverse City waterfront. Tickets are on sale now for the second annual Taste of Traverse City Festival, Aug. 29- 31, says the community's destination marketing organization, Traverse City Tourism. This year’s highlighted speaker-demonstrator will be former White House chef Walter Scheib, who’ll be presiding over a special “White House Dinner” on Saturday. The 2013 inaugural festival featured Darren McGrady, former chef to Britain’s royal family. The three-day Labor Day weekend event will begin Friday evening from 6 to 9 p.m. with the Downtown Grub Crawl -- a “sip, sample & shop” tour celebrating the bustling epicurean and shopping destinations of downtown Traverse City. Each participant receives a “Grub Crawl Survival” kit, and can choose to stroll or shuttle to the many participating businesses. Saturday’s main festivities will be held at the newest festival venue, the Grand Traverse Resort and Spa, from noon until 6 p.m. Participants can observe, learn and partake of culinary samplings, chef demonstrations, seminars, wine, beer and spirit tastings, shopping, and entertainments! One new feature of the 2014 event is an intimate “dining in the dark experience” led by chefs of the resort's Aerie Restaurant and Lounge. The experience, which has been popular at restaurants in Paris, Berlin and Vienna, uses blindfolds to eliminate diners’ sense of sight and heighten the senses of taste, smell, touch and sound for a unique culinary adventure. Also new is the Kids Culinary Area, which caters to children of all ages, both those looking to expand their culinary knowledge and those simply enthralled by foodie events. Saturday evening’s main event is the White House Dinner, also held at Grand Traverse Resort & Spa. Guests will join former White House Executive Chef and Iron Chef contestant Walter Scheib as he serves up favorite dishes of past presidents amid personal and often humorous stories from his 11 years as a presidential chef. Seating is limited, and it is suggested that tickets be purchased early. The festival concludes Sunday with The Best of the Brunch, a “Brunch Throwdown” competition from 11 a.m. to 2 p.m. at the Hagerty Center on West Grand Traverse Bay. Teams of chefs, farmers, and beverage companies will compete together to prepare a perfectly paired and presented brunch station. Guests have an opportunity to sample all the stations and vote for their personal favorite. Additionally, all guests of the ‘Best of the Brunch’ have privileges at the gourmet Bloody Mary Bar. Tickets are limited for several events, and early-bird special pricing and gift packages are available only while quantities last. To purchase tickets or get more information, visit http://www.tasteoftraversecity.com or call (231) 714-4646.